This Vintage Spruce Soprano comes standard with spruce top, walnut bridge and fretboard, and open style tuners, which add sustain and clarity to your tone. 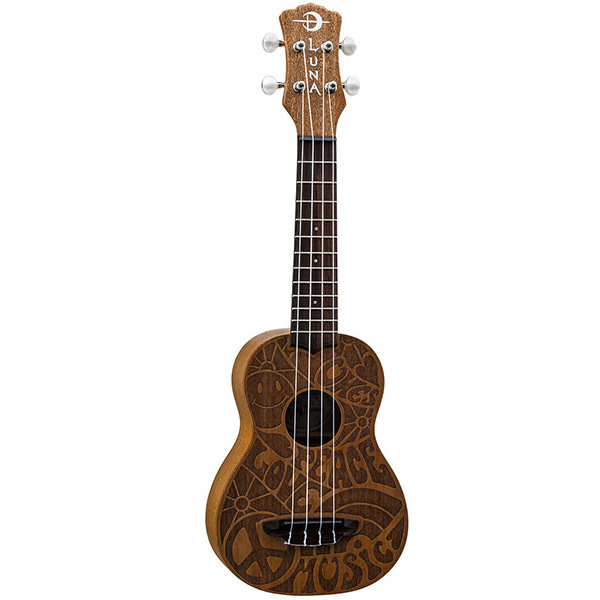 Soprano ukes are among the most popular today - Now Luna brings a full-featured, spruce ukulele at a stunningly low price. Featuring a spruce top and mahogany body, the Luna Vintage Spruce Soprano Ukulele sounds as great as it looks. A wonderful instrument for players of all skill levels. Join the Luna Tribe today!